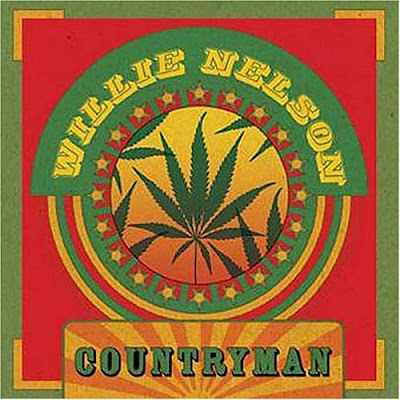 “Countryman” exists as a marriage of traditional country and reggae. This didn’t strike me as an unusual or unlikely combination, but the laid back soul of Willie definitely made it seamless. I’ve rarely encountered an album that promoted as much relaxation or peacefulness as this. It only took a comfortable chair and an open imagination for the music to place me on a breezy front porch in Jamaica. The production of the album is very rhythm heavy as far as bass and percussion. This provided the strong presence of reggae on the tracks along with the undeniable tweaky swishing guitar riffs. Willie’s Texas twang, soft refrain and the ever present steel guitar floating atop the melodies in the background made sure that the country elements were not lost. Lines like “Today might be the day that you walk away, but you left a long, long time ago.” (You Left a Long, Long Time Ago”) and “a thousand times I’ve seen you, a thousand times you’ve taken my breath away” (“I Guess I’ve Come to Live Here”) are fine examples of why Willie has truly cemented himself as one of the greatest songwriters in music history, but I can easily maintain that he is a living legend because he’s never been shy about taking the music and the sound to another level. This album lives as a perfect example of the power of Willie’s music to embrace diversity and take on a fresh form that redefines it and him.